Most of us would rather feel good than bad. Bad feelings are normal and it’s OK to feel bad sometimes. Constantly bathing in bad feelings, however, is practically never good for us. Bad feelings are in connection with bad thoughts and bad thoughts and feelings produce bad actions and behaviors. So therefore, it is usually a lot more beneficial for us to feel good more often. Bad feelings – whether they come in the form of worries, fears or even panic attacks – are based on one, and only one, thing: Our attention at those moments is focused on things we want to avoid. Every time we think of something we do not want in our life, we feel bad. Sometimes the feeling can be mild, but sometimes the feeling can be even overpowering. The process of feeling bad and feeling good is basically the same. 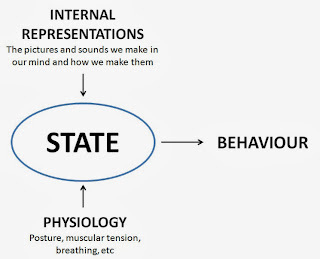 Our thinking is mainly based on internal pictures and internal sounds (= internal representations). If we, in our mind, look at pictures of unpleasant things – things we don’t want in our life – or we talk to ourselves in a negative tone of voice about negative things, these thoughts cause us to feel bad, even physically. If, however, we look at pictures about things we like and enjoy and want to have more in our life, or talk to ourselves in a pleasant tone of voice about pleasant things, the effect is the opposite: we feel happy and successful. When you add to this our body posture – closed and hunched posture vs. vigorous and open posture – we pretty much have the whole package put together. 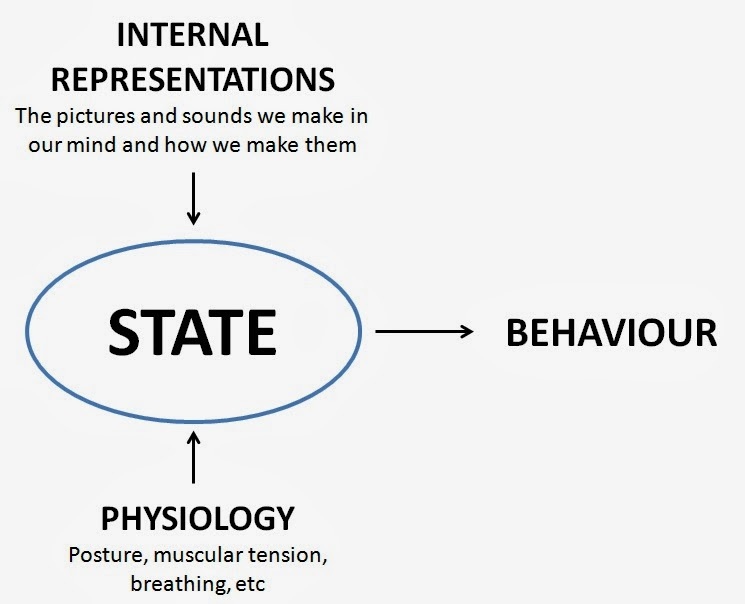 An interesting question then arises: who is in charge of our thoughts and body postures? The answer is, of course: we are. During our life, we have learned a huge amount of different kinds of habits, conditionings, anchors, beliefs, strategies and who knows what, that have all, at the moment they were created in our mind, served or protected us. Some of the habits and beliefs, that once were useful for us, might not necessarily be that way anymore in other situations in our life. Still, we might have formed, in our unconscious mind, a resemblance or equivalence between things, even based on one single experience. These habits and beliefs might then have become limitations to us, limiting our freedom of choice on what and how to think. And all this is usually happening automatically, guided by our unconscious mind. When we want to get rid of the worries, fears or even panic attacks, we need to teach our brain to think in a new way. There are numerous techniques to do this, but in the end, it is really all about that one thing: Instead of thinking about what we don’t want to happen, we should think about what we want to happen. I had a client who got a panic attack every time he thought about crossing a bridge by car. In fact, he had had it for about five years. He created his panic by creating in his mind pictures of how he loses the control of his car and crashes down off the bridge. I first taught him to neutralize the sense of panic by changing these images he saw in his mind from what he did not want to happen to images about what he wanted to happen (ie. him driving safely across bridges). Even by doing only this, he reported a week later that he had been able to drive across several bridges without a hint of a panic attack! In the next phase we then concentrated to direct his thoughts even more toward the things he wants in his life. As a result, he learned to have a lot less bad feelings and instead, a lot more good feelings in his life. Even though the difference between whether we feel good or bad is very simple, making the necessary changes by ourselves might be a bit challenging. Luckily, NLP offers amazingly effective methods and techniques for making the appropriate changes. In my profession, mastering these techniques has produced me the most rewarding experiences one after another, bringing me an ever growing enthusiasm to keep on doing what I’m doing. And those thoughts bring me very good feelings.